I have not posted in a while but that is because i have been super busy planning for the fall. Since i have barely made it out on any exploring trips I will start to post some older pictures & some locations as well. There are 2 official trips planned for July and hopefully some in August as well so some new stuff will be coming soon! I am still around and i plan to update within a couple of days. For some reason people connect abandoned houses with ghosts and the paranormal. Newsflash the house does not have to be abandoned to be haunted. I know because I have been in many many abandoned buildings of all shapes & sizes and most are not haunted. Anyways I am not going to start with those people that claim to be interested in rural & urban exploration only to reveal that they are only their to find a ghost. 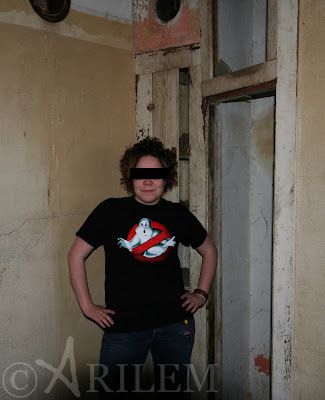 To prove a point i did some ghost hunting myself. I went to Manitoba!! I know not very exciting but i have not been here since i was like 10 years old and cant really remember it. I figured since we were "close" to it we should take a drive across the boarder. Little did i know that this would add hours onto our trip and we would not make it home until midnight. 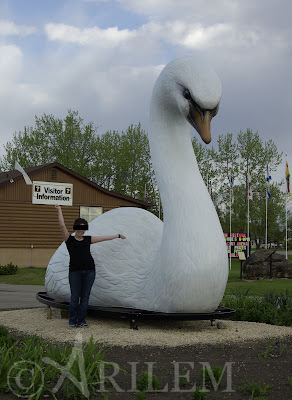 None the less i enjoyed my scenic drive through forests in Manitoba and reaching a place called Swan River which imagine this, has a giant swan. A couple things i learned while being in Manitoba are shown in the pictures below. Not sure if they hold true for the whole province. Note: I did not get any pictures of it but there constant signs about wearing your seat belt and checking your lights, i was half expecting one that would say something like "check to make sure your car is on"
This past weekend i went to the lake. It takes most people at most 3.5 hours to make it to my lake. When i drove to the lake this time it took me 8.5 hours to get there and on the way home took me about 10 hours. Oh, and did i mention we did this in 2 days maybe a bit less. Overall the trip went well we found some very unique spots, most note-worthy was an abandoned church that has not been vandalized (just has not withstood the test of time). construction as usual - but we got a pilot vehicle this time! spotted this one from the road! Went on a second trip with our newb and of course my friend from the south. We all went out for a few hours exploring a certain area and found many farmhouses, some churches & of course a ghost town. Overall it was a good trip the guys got along well and I held my ground with sarcasm as I was the only girl again. *sigh* The weather proved cooperative on the trip and the roads were not bad either. I call this the tick trip as the guys got 6+ ticks each and i got none. Apparently mosquitoes & ticks hate my blood. Overall we made a few stops just so the guys could pull off ticks. Oh, and we also found a fully stocked fridge in one of the houses, opened it up and the smell was so aweful it stunk up most of the house and we only had it open for a moment. Last time we try something like that. this is one way to park your car..